Since its release over twenty years ago, BOTOX® has gained a reputation as the most effective way to reduce wrinkles. As the popularity of BOTOX has grown, comparable products have emerged to provide the same treatment often at a lower cost. At Westfield Plastic Surgery Center, Dr. Ayoub offers treatment with BOTOX and its leading competitor Xeomin. While some patients respond well to BOTOX treatment, other patients will find that Xeomin is more effective for facial rejuvenation. How Long Will It Take for Xeomin to Work? How are BOTOX and Xeomin Administered? Both BOTOX and Xeomin do not require anesthesia and are injected directly into facial muscles, using a thin needle to reduce patient discomfort. Most patients find that treatment has only mild and temporary discomfort, making treatment possible during lunch hour. Most procedures will only take forty-five minutes to an hour to perform, depending on the extent of treatment. * All procedures will be performed at Dr. Ayoub’s Omaha office. 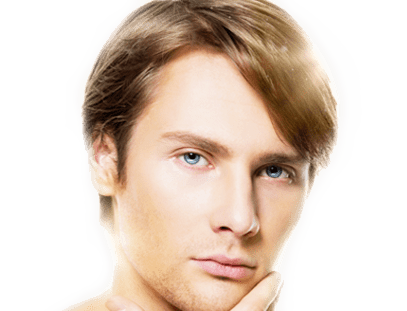 Will I Have Any Downtime from BOTOX/Xeomin Treatment? Once you have gone in for your first treatment, you will have a better idea of how your body reacts to the procedure and maintenance will be easier. Patients who experience more severe symptoms such as headaches, shortness of breath, or nausea should contact Dr. Ayoub’s office immediately. How Often Do I Need to Come in for BOTOX/Xeomin Treatment? After your initial treatment, you will need to return every three to six months to maintain your results. Omaha patients can extend their results by focusing the health of their skin between treatments. Dr. Ayoub offers a line of skin care by Obagi designed specifically for men. As the leading brand recommended by plastic surgeons, the Obagi system is formulated to maintain the results of surgical and non-surgical facial rejuvenation procedures. Want to erase lines and wrinkles in under an hour? Call our Omaha office at 402.829.6384 to schedule your free consultation.